As vapers, we should be aware of those around us while we vape. In this article, we will give you some tips for good vaping etiquette. Some people are worried about their image when others see them vaping, while some simply do not care. Perhaps you’ve seen a “hip” cloud-bro/girl in a public place, blasting huge clouds with others around. You have seen the faces of bystanders, looking disgusted and annoyed. This is a perfect example of ignoring common etiquette when vaping. Yes, there is a set of common sense rules that vapers should heed to when within the public eye. Some choose to ignore these rules while some abide by them and respect others as they should. Being aware of your surrounding is key to maintaining a positive image towards vaping, an image we need to portray as positive, especially with regulations and legislation taking place. If you’re new to vaping than please stick around to discover just a few common sense rules to keep in mind so that we can all continue to take part in this life-changing lifestyle. If you choose to ignore these then you, along with many others, are just contributing to the negative talking points many people and governments have when discussing the future of vaping. Why You Should Follow These Rules? The rules set forth are not hard to follow, not by a long shot. Plain and simple, if you want to continue to vape, follow them. Casting a negative image of vaping gives way too much firepower to the governments when making decisions about how to regulate vaping. Some places are already deciding to completely ban flavoring, leaving vapers to only use plain, unflavored e-juice. Many people around the world, advocating for the right to vape are following these basic rules. Ensuring that the future of vaping is secured for others. This comes down to location. 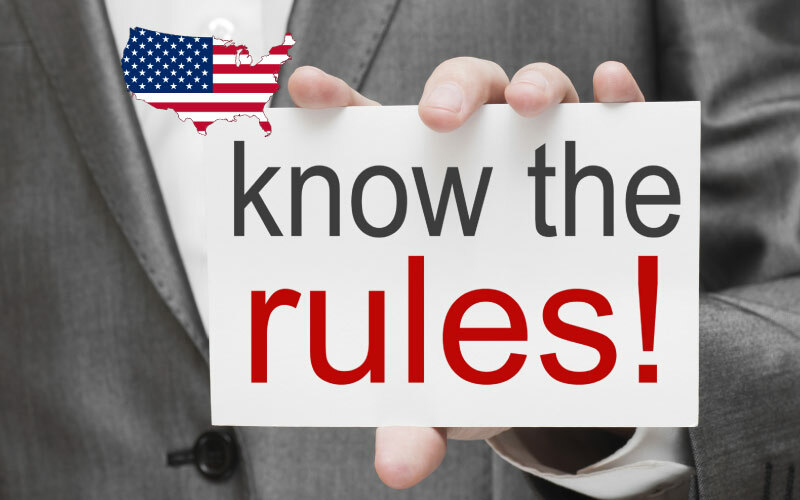 Depending on where you are vaping, the rules change. When a person is at home, the rules are drastically reduced because this is your own personal space. If you choose to produce significant amounts of vapor then you are more than welcome to. A couple side notes about vaping at home, if you have pets or children then you need to respect that neither is going to want to be surrounded by a clouded out room, breathing in the second-hand vapor. Yes, second-hand vapor does not contain any harmful byproducts but it can still be quite unpleasant. Keep in mind that the vapor that fills your home needs to go somewhere and electronics are usually a hot spot for vapor residue. This residue is sticky and wet and can over time destroy your electronic items. Those are the kinds of people that give vaping a terrible reputation. They are terribly rude and disrespectful towards bystanders. 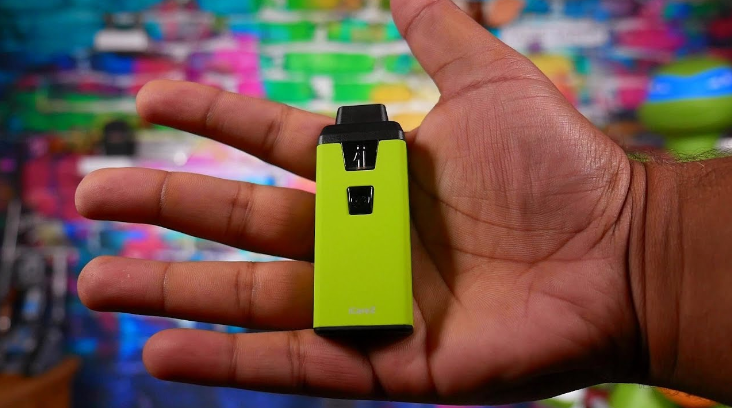 With the advancements in vaping technology, the rise in nicotine salt e-liquids and pod systems, vaping in public can be enjoyable and stealthy. You do not need to take out your biggest, fattest cloud machine to the theater, mall or other public spots. You can get your nicotine fix without blasting clouds into someone’s face or making others upset. Sure,you can pack your cloud rig, leave it in your bag or pocket for when the occasion arises that it is completely safe to use it without inconveniencing anyone else. 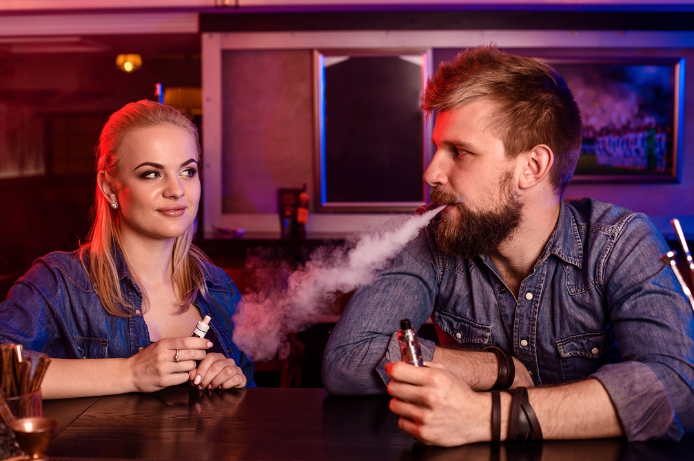 We really need to treat vaping just like smoking when out in public because others who do not vape or smoke do not want to be forced into tasting someones second-hand vapor and some may be sensitive to the smells that are emitted. 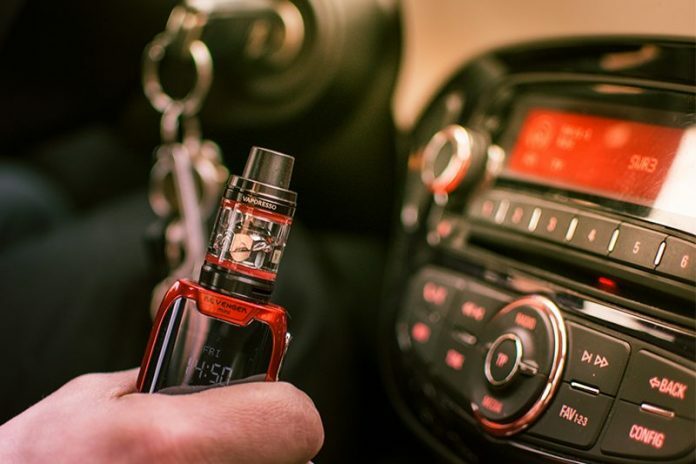 You own the vehicle, it is your right to vape inside of it but please keep in mind that with larger devices, vapor can really hinder your ability to see the road clearly. Speaking from experience, if you are driving along, even with the windows down and you blow out a large cloud of vapor, it can completely block the entire windshield and result in zero visibility. This causes panic and the impulse to slam on the brakes. A smaller device for driving is always a good idea to avoid any unsafe and hazardous possibilities. You’re out with your friends and you’re showing off your new mod, tank or RDA. Some of your friends do not vape but they will act excited for you! Just because these folks are your friends does not mean that they enjoy being subject to clouds blown in their face. Simply ask them if they mind if you vape a bit. Otherwise, they may start to not like hanging out with you because of the disrespect you show. This is a great show of respect and if they are not cool with it, you are aware of it and can go somewhere else for a quick vape without upsetting anyone. This is honestly the solution to all problems with vaping etiquette. Stealth vaping is such a great option today. The pod devices, AIO devices, and tiny mods are all fantastic for using nicotine salt e-liquid. Nic salt is able to be used in much higher concentrations and can provide feelings of satisfaction much faster than traditional freebase nicotine. Every vaper should have a stealth device in their pockets for times when they need to be discreet. It is not about being embarrassed or ashamed, just respectful of others. 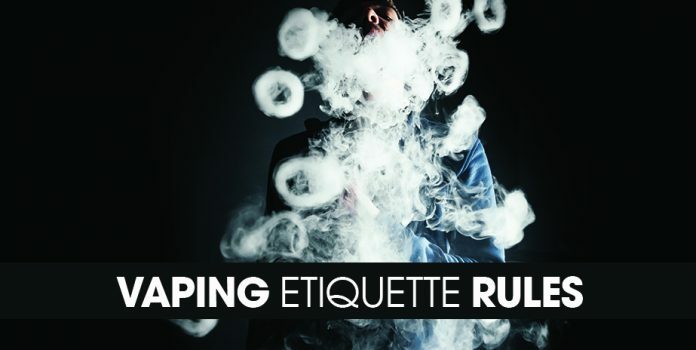 So, these few basic vaping etiquette tips will make sure that the other people surrounding you are left with positive thoughts and feelings towards vaping. It will also portray you as being a respectful person who cares about how others feel. Vaping can be very enjoyable if practiced in a respectful manner. If you are out in public and you notice some vapers being disrespectful, pull them aside and educate them. Ask them if they enjoy vaping. If the response is yes, let them know that they need to portray a positive image. To make sure that vaping is not abolished in the future. So, stay safe, be respectful and always pay attention to what is going on around you when you all are out there!